Never-seen-before photographs of princes William and Harry as children have been published to coincide with the release of a new documentary about Princess Diana on the 20th anniversary of her death.The pictures have been taken from Diana's personal photo albums which were recently discovered by her sons who are shown in a TV documentary flicking through them. A sun-kissed image showing Diana hugging Harry while the pair are on holiday, is just one of the poignant pictures that are featured in the TV program. 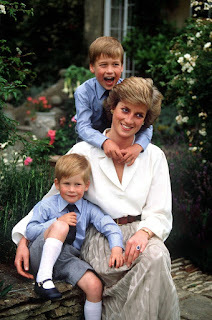 In the ITV documentary, Diana, Our Mother: Her Life and Legacy, William says to Harry about the photo: "This one here, I thought you'd like to see - quite a special picture - the two of you which I thought was quite sweet". The photo shows Harry apparently wearing just trunks and sitting down with his legs up against his chest while his mother's arm is wrapped around his neck. Harry joked about the image saying: "I just remember having the skinniest legs, and still do". 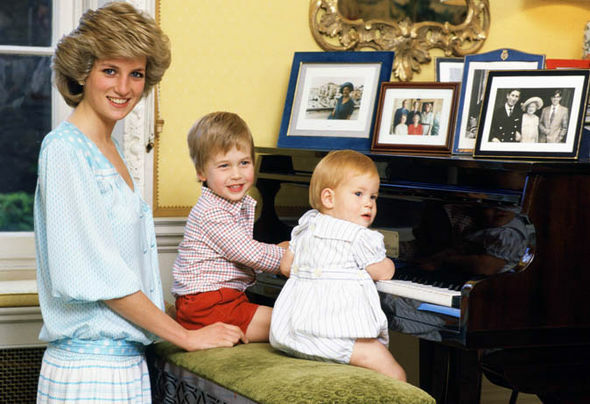 Harry admits "part of him" did not want to look at them but he was also waiting for the right time to sit down with his brother and go through the pictures.Another of the featured photographs shows Harry sitting on a picnic bench while William sits directly behind him on the table.And a third image shows a pregnant Diana holding a toddler William on her hip as the pair pose for the picture. In the 90-minute program William said: "She loved taking pictures, it was so nice. She captures some really good portraits of people, you kind of get a snapshot of the personality quite quickly. "The funny thing is there is not that many of her, as she is always taking pictures of us."